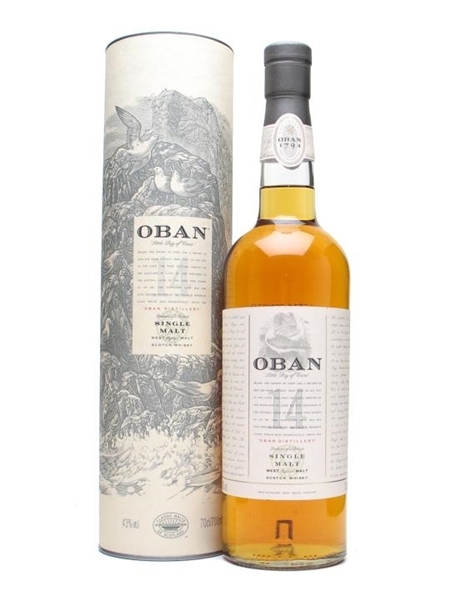 Oban 14 Year Old (~€60) is the entry level brand from the Diageo owned Oban distillery. This west coast, seaside town distillery also produces a Distillers Edition range. The 14 year old is aged in oak casks and bottled at 43% ABV.